Our pastor, Rev. 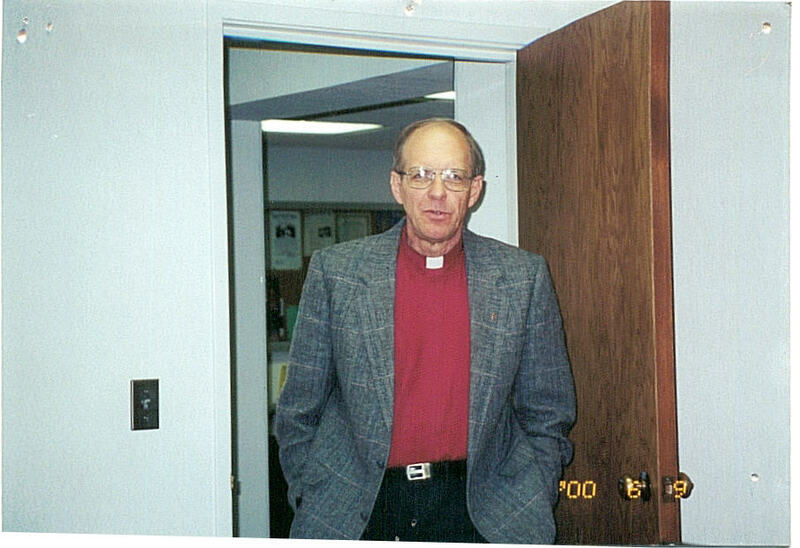 Donald Becker, is a graduate of Concordia Seminary, St. Louis. He is the 16th pastor to serve at St. Paul. He is married to Sandra (Weitzel) Becker, a RN. They have three grown daughters: Andrea, Jennifer, and Heather. In addition to the ministry of preaching the Word of God and administering the Sacraments, our pastor carries out an active ministry of hospital and home visitation, bringing Christian comfort and encouragement to those who are "home-bound" or hospitalized. We expect our pastor to lead us in serving our Lord and doing the work of Christian ministry, not as one who serves for us, but as one who serves with us; encouraging us and equipping us "for the work of ministry, for the building up of the Body of Christ"
Together with our pastor we are eager to have you worship with us at St. Paul, and we stand ready to help you in whatever way we can.